Futures At Risk? Call Us Today. Patricia Beaujean Lehtola, managing partner and founder of the firm is best known for her in-depth knowledge of the law of finance, having represented lenders, mortgagors, servicing agents and other financial institutions for over three decades across a broad spectrum of transactional and consumer disputes. Equally adept in the world of business litigation, Patricia has guided her clients through many complex business lawsuits in state, federal and appellate courts. Patricia Beaujean Lehtola has been practicing law in Texas since 1984. She is adept at handling all types of mediations due to her decades of experience in a multitude of cases of all sizes and types. From the highly charged to the complex commercial disputes. She prepares and implements a plan of conflict resolution for each case considering the subject of the dispute, the potential dynamics of the controversy, the parties and counsel. Patricia is AV® Rated by Martindale-Hubbell®, its highest rating level measuring both legal ability and ethical standards. She holds a B.A. from the University of Notre Dame (1981) and a J.D. from Duke University School of Law (1984). 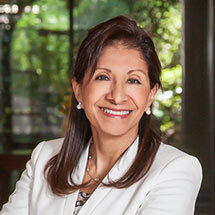 She has been licensed to practice in California since 1984 and in Texas since 1985, and is fluent in Spanish, and is licensed to practice before Texas state court cases, the Fifth Circuit U.S. Court of Appeals, and each of the U.S. District Courts for the Northern, Southern, Eastern and Western Districts of Texas.